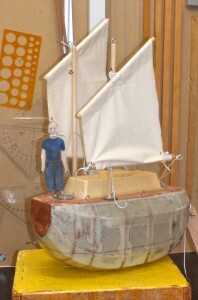 The main forces on the mast is compression due to the haliard and bending due to wind. The bending force is reduced by reefing, but there is still a lot of compression force. The masts ability to withstand the compression decreases by the square of the lenght that is compressed. Last night I said to myself that a good way to reduce that force is to mowe down the point where sail is attatched to the mast when reefing. If in strong winds it is lowered half the distance the compression force is reduced to a quarter. If the sail is attatched to the mast without a halyard it is halfed again. That way there is only one eight of the compression on the mast left. Weight and wind resistance of the halyard is also gone. A gain well worth considering. Below are two pictures illustrating my chain of thougt. Click once or twice to enlarge. 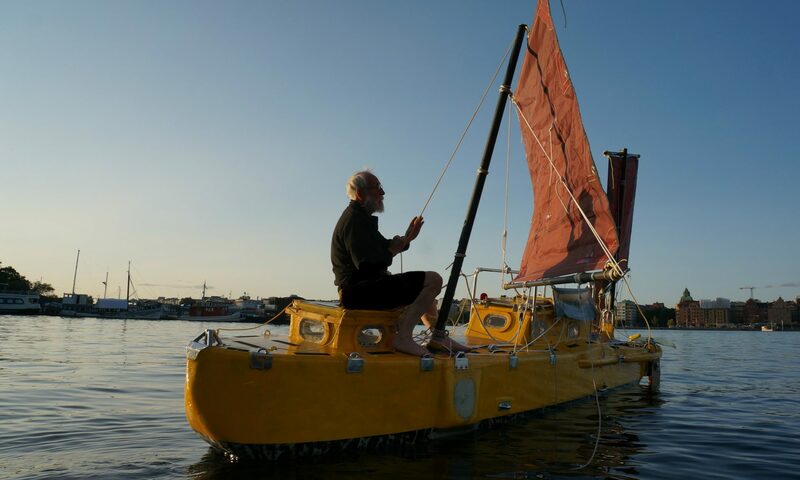 The masts will be short between 3 and 4 meter 10 to 13 feet and distance between thema only 1.2 meter or four feet. 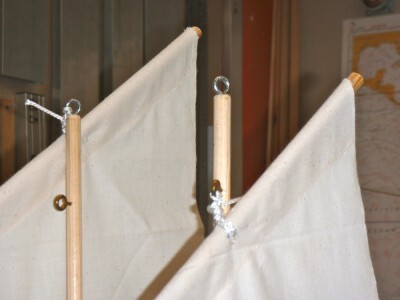 It is therefore very simple to use the masts as suport for steps to a temporary ladder to use when lowering the sail.